The French company Colas Rail is the most likely to get the job of building the railroad tracks on the Ada Bridge, looking by the price offered. Their offer amounts to RSD 1.6 million, followed by Austria's Strabag SE with 1.7 million and Poland's Zue S.A. The Belgrade Land Development Public Agency should disclose which company has been awarded the contract by March 10, 2017. The deadline for the completion of works is 420 days from the possession of the site, which means that the Cukarica and the New Belgrade coasts will be linked by railway in 2018. The works entail laying down tram tracks on the Ada Bridge, north and south structures, to be incorporated in the current railway construction, as well as the reconstruction of the current bridge components and the accompanying infrastructure. The new two-track tram railway will have a total length of 2,700 meters with connections to the current network, and around 1,000 meters of the current tram network will be developed. 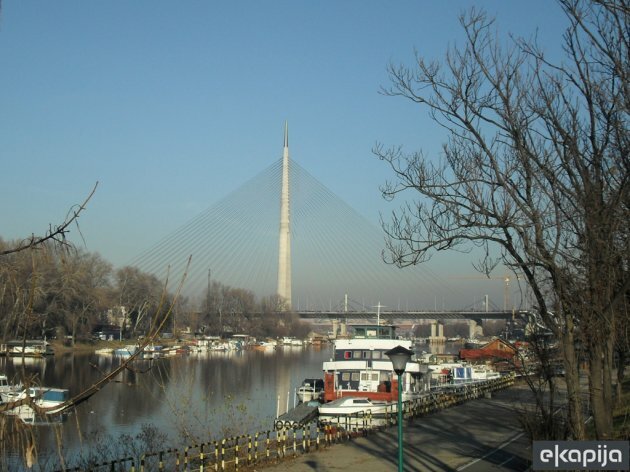 The laying down of tram tracks on the Ada Bridge will enable tram transportation in all directions between New Belgrade, Rakovica, Banovo Brdo and the city's center.